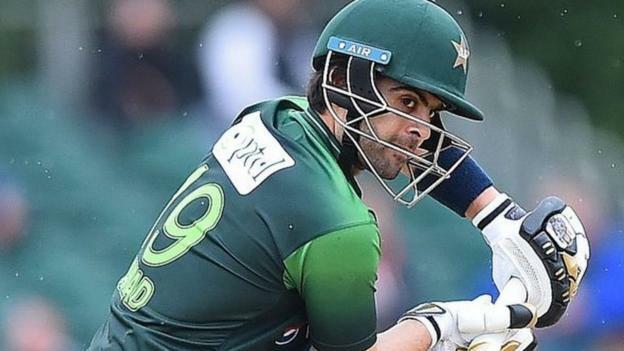 Pakistan batsman Ahmed Shehzad has been charged after failing a doping test and suspended by the country’s cricket board. The 26-year-old tested positive for a banned substance in June, but his name has only just been released. Shehzad played for his country in last month’s Twenty20 series in Scotland, where he scored a combined 38 runs as the visitors won both games. Since making his Test debut in 2013, he has scored 983 runs in 13 matches. The Pakistan Cricket Board (PCB) received the report from the Independent Review Board on Tuesday and later handed him a notice of charge. Shehzad has been given until 18 July to decide whether he wants his B sample tested, and until 27 July to respond to the charges. “The PCB has provisionally suspended Ahmad Shehzad pending the outcome of the charges,” the statement read.